with Dyslexia. From then I struggled on every level at school even sports,I couldn't tell the time, I had no skin on my knees for a decade straight because I couldn't walk without falling over, I still don't really know my left and right and I wasn't able to go to the same school as my brothers because I didn't pass the entrance exam and was called "Remedial" by the Head. Despite my amazing Daddy telling me, before he sadly passed away when I was 12, "To never forget I could be ANYTHING I wanted to be if I worked hard" It's still fair to say I didn't have a lot of confidence growing up. This wasn't helped in anyway when I spoke to the career councillor after seeing the famous Author Jacqueline Wilson do a talk at our school. I told her I was determined I now wanted to be a writer. "People with Dyslexia cant be writer's really..." she said, "I would pick something less.. Academic..." I admit at the time I was torn between a Journalist and making a Recipe Book but this was still a blow! So I pushed it to the back of my mind and got on with being a teenager. I just managed to scrape 3 A levels but not grades high enough to go to University, I could have possibly gone through clearing but as I said the confidence wasn't there, neither was the finance and I definitely did not want all the debt from a degree I didn't think I could or would complete. So I did what I loved and became a full time Beauty Therapist, I did that for a few years loving the Salon life and working with people. Anyone in Salons knows the hours can be tough so I then decided to try and get a more 9-5 job working for big company but who also made Beauty Products; again I loved it, the job and my team. It was all going great for a few years but then I decided I had to have the babies....now I know all the working mothers in fact parents full stop out there are nodding along instantly. You get me. Right? Its a BIG game changer. As much as I adore my boys everything just becomes X10 harder, getting out the house to go to work suddenly takes two thirds longer than actually driving to work. After having Oscar and realising I was spending more time of my life finding matching shoes for everyone than anything else I knew I was in trouble. Fate has a funny way of intervening though and my department was being moved so we were made redundant . Now this was all very exciting and I know I am incredibly lucky to have had the opportunity to be a SAHM but it wasn't really in my hands and being a busy bee like me I knew I had to have something to keep my mind active as well. Now I had always loved to bake and if you follow my blog you will now know I'm brutally honest about being a mum, my kids are lush....but its hard graft and all this was being well received on my Facebook page. A few people said I MUST start a blog but again my demons kicked, "Could someone with Dyslexia have a blog? "....Well only one way to find out. So I googled it...no joke I had not a clue and neither did anyone I knew, in fact I still get relatives and friends asking "So what IS a blog?!" 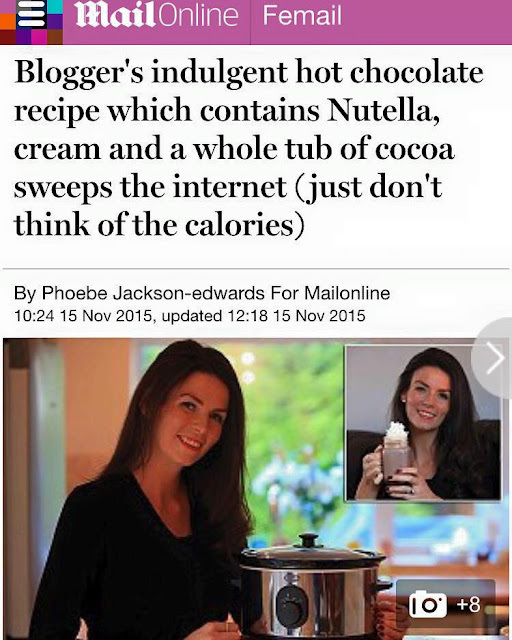 I picked 'Blogger' because it looked easier to navigate and I haven't regretted it yet. As I'm totally addicted to sweet things, love to bake but also always in a mad dash I came up with my name and so 'Sugar Rushed' was born. I put a disclaimer on not to expect too much from the grammar, in fact I still do, I know its making some of you twitch but what can I say except... sorry I literally don't notice. It hasn't seemed to cause too much trouble though and I bashed on doing recipes and tales of what we were up to. It became a life line actually to share and vent because I wont beat around, but being a mum can be really isolating too. I honestly give major claps to all the Mummas out there BEFORE the Internet, seriously how did you know what to do at 2am with a baby who wont stop crying, or is teething or will not poop? !....trust me I didn't think I would ever have any interest in those things either or become completely obsessed with SLEEP, but you do. Anyway I was happy with my little blog and my group of #keepingitrealclub as I call it on my page. Well as you can guess, I decided I KNOW the truth, I might want to strangle them sometimes but my boys are my absolute world. So instead of stopping I promised myself for 6mths to give it my all, continue my 'warts and all' adventures and share my ideas instead of fearing I was showing off; basically quiet those negative voices in my head. That was 3mths ago....In that time I have had more interaction, shares and messages with incredible lovely people than ever before. 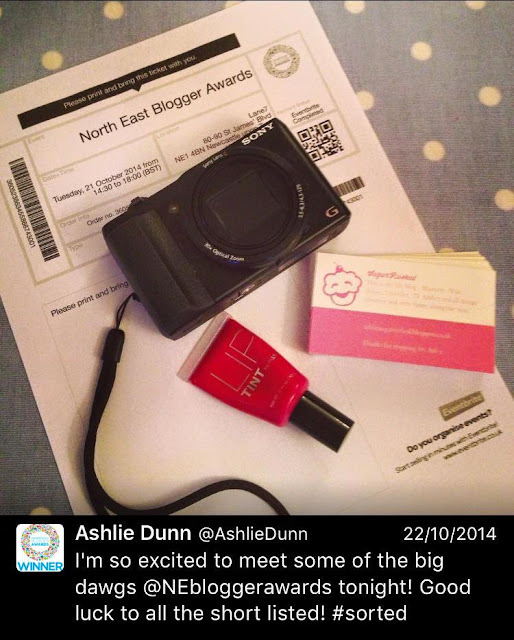 Then without even knowing I had been nominated I was short listed for "The Best Parenting Blog 2015" fighting off hundreds of other blogs to the final 3, at the NE Blogger awards where just a year ago I had stood in awe. Then a few days before the awards ceremony I decided to share an idea I do every Christmas and it just went a bit bonkers from there really. 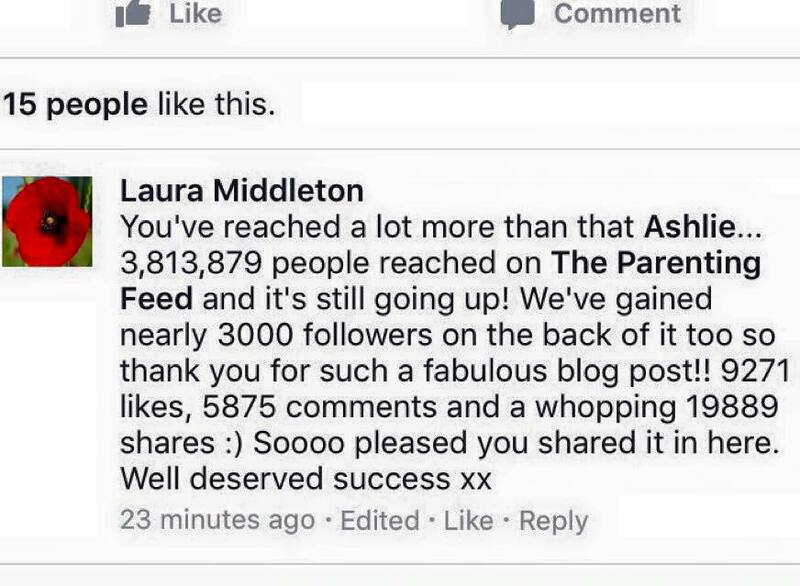 Ironically my new blogger pal Sam shared it first, it then got picked up by several people, then 'The Parent Feed' page, then it went really crazy and the figures were in the millions...including Santa ha ha. Really!. On the day of the awards I swear on my life I didn't think I was going to win at all but I was already on cloud 9 just to have been nominated and how well my blog was being received...it had reached 7 million in 4 days by then. In case you missed it "Hot Chocolate Station"
In true "Us" fashion Oscar somehow developed a septic toe so I spent most the day in A and E and after a pit stop to the Golden Archs had 25mins to get ready but I work better under pressure ha ha. The night was totally amazing at Bonbar, yummy canapés, some Therapist's from Savannah giving out massages, FaceBooth which was loads of fun, a few glasses of fizz and a chat with some of my favourite bloggers I was just so happy. I truly didn't mind about the results because both competitors Janine and Karen were so good. To be honest I had a tiny panic because I had forgotten about the 'Audition tape' they show before the award so I was busy cringing about that to care to much. I have to admit when Sarah from Tommee Tippee said "The Blog that has made it to the top of the Parenting class is...." my heart started to pound and when she said my name I actually froze. I didnt go to the stage for a bit because I was totally in shock. I'm so pleased I didn't have to speak because I literally had nothing prepared. I think the nicest thing for me was like me last year some people had come alone so when they collected their award there was a nice round of applause. However I've since been lucky enough to become friends with a lovely gang of blogger's and it was clear when the room errupted as my name was announced; so kind they are genuinely happy for me. 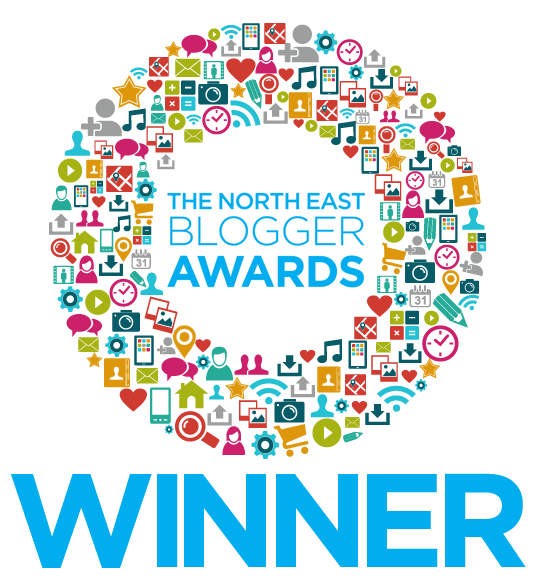 It has absolutely made my year to be "Best Parenting Blog 2015" ...who would have thought?! Thank you to OPR, Tommee Tippe and Bonbar for such a fab night. than an hour before the awards! The next day our local paper the Chronicle got in touch to ask if they could do a story and take a picture. Naturally I was in the middle of making a 6 tier Cake for my cousin...as you do, when the Photographer arrived, got to keep it real though ha ha. I thought they were going to take one quick picture but he did a little video, an interview and took several shots including an outfit change...because I had icing sugar everywhere! 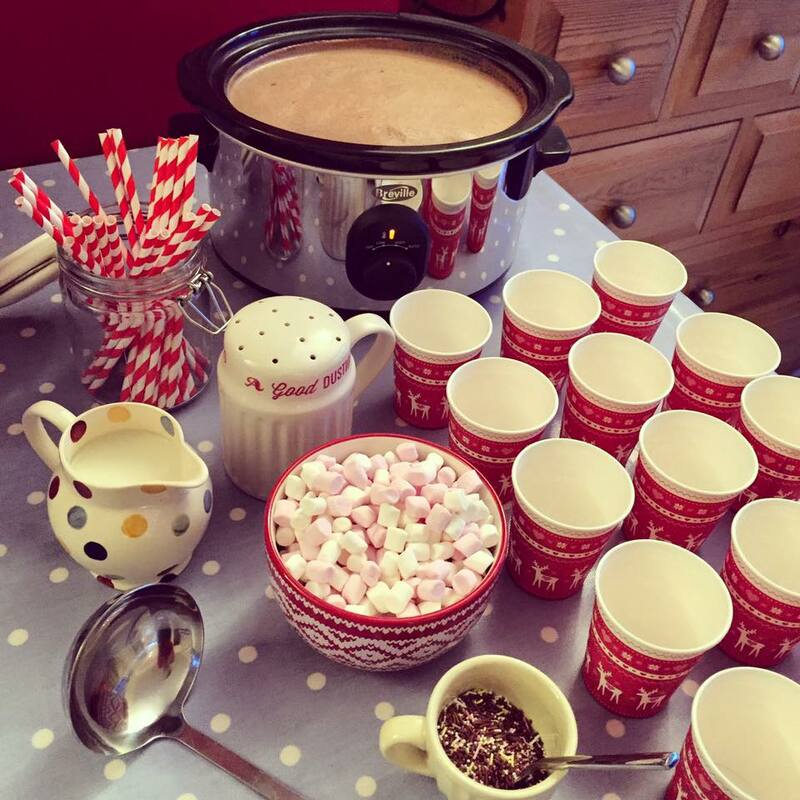 I even made him my famous "Hot Chocolate. I was in London at the weekend with, said cake at a fantastic party when my friend text me the news paper link. I had been out of signal all day and it was so cool...it wasn't until I looked closer that I realised it actually was The Daily Mail a national newspaper as well as our local one. If I had tried I couldn't have possibly made this week up. 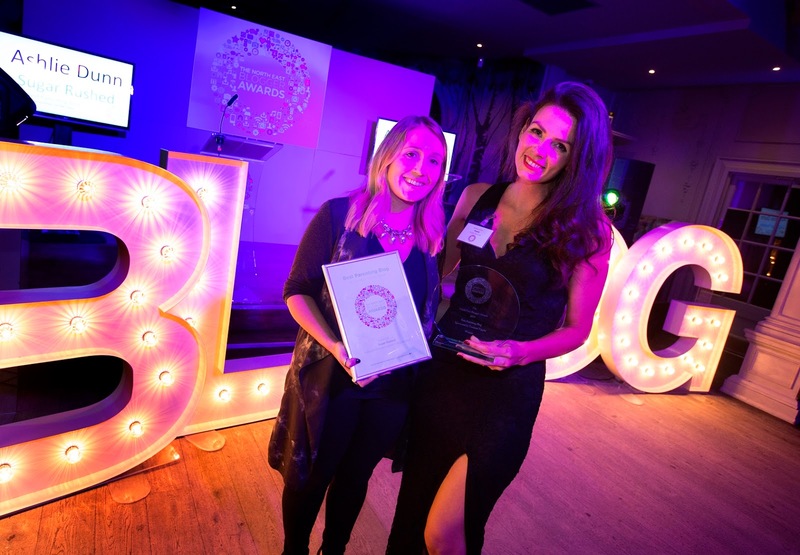 A girl with dyslexia and no degree just won an award for writing and a few week's ago I was going to give up but this week 7 million people have seen my blog and I'm in a national news paper. Its madness. I would like to Thank in no particular order. My Daddy Cool who told me "I could be anything I wanted" and who I love and miss like crazy. My hilarious gorgeous boys Archie and Oscar, without whom the blog wouldn't be. My GG and Grandad who have my back all the time, push me constantly in the right direction and I adore the bones of. My brothers Phil and Jack who keeps my feet on the ground noticing things like my grey hair and for babysitting on the night. My Mam and Step Mum who always champion me and make me feel special. My girls, they know who they are and why. 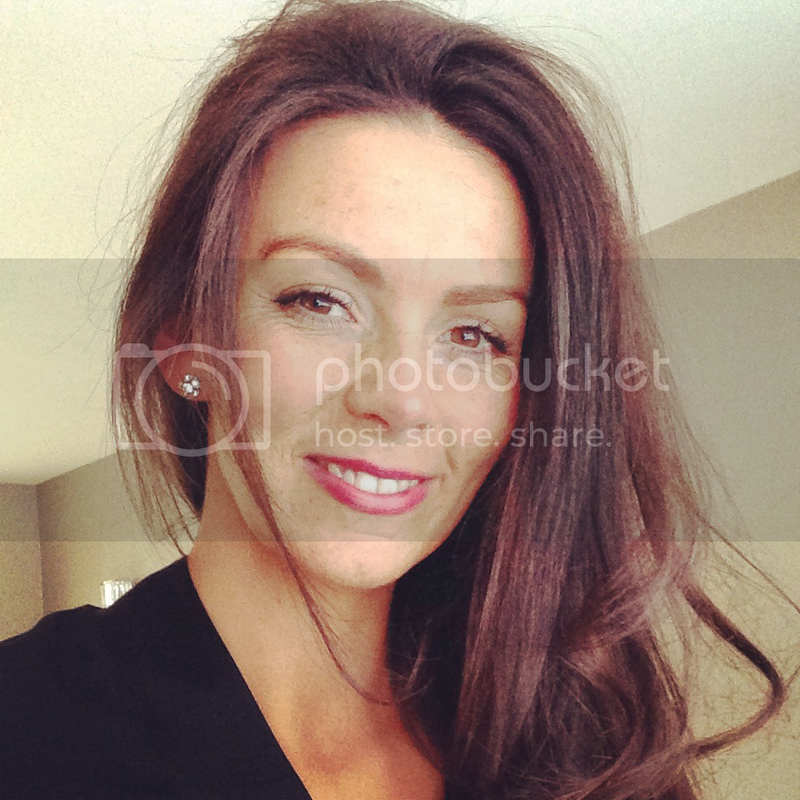 liked or shared my blog I appreciate it all so much. If you would like to follow me well thanks! You can below. OK I am a big sap but this made me cry!!! Why are children told they can't do things?! It's so sad :( As you say, anyone can do anything if they put their mind to it and I'm so so proud of you for working so hard at doing something you love. You're writing is fantastic, you have such a way with words! I'm so happy and proud that you are getting the recognition you deserve, it's all up from here .. just remember us all when you're mega famous!